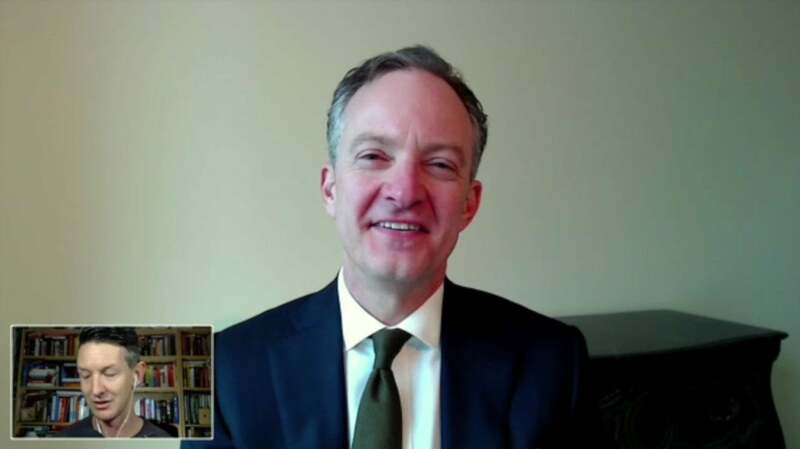 In this week’s Five Good Questions, we’re interviewing Kenneth Jeffrey Marshall about his book Good Stocks Cheap. Kenneth Jeffrey Marshall teaches value investing at the Stockholm School of Economics in Sweden, and at Stanford University. He also teaches asset management at UC Berkeley. A longtime value investor, he wrote the book Good Stocks Cheap: Value Investing with Confidence for a Lifetime of Stock Market Outperformance. He holds a BA in Economics from UCLA; and an MBA from Harvard. Your book demonstrates a clear understanding of accounting. Has the rise of intangibles changed how you use and interpret financial statements? There have been some great studies and white papers on reversion to the mean on returns on invested capital. Do those influence your evaluation of strategic assessment? Are we ever going to see profit margins mean revert again? What are the ancillary, non-monetary benefits you’ve found to being an investor? And make sure you pick up your copy of the Rebel Allocator, available now on Amazon in both digital and physical formats! Welcome back to the program everybody. My guest today is Kenneth Jeffrey Marshall and he's the author of good stocks cheap take care taker. Thanks for taking the time to be with us today. So. Just a little preamble before we hop into our actual questions but there are a few things that I absolutely loved about your book that I was not expecting to love as much as I did. I was pleasantly surprised by it. And I mean that in the most warm warm way possible. It seemed that the most warm way possible. So yeah. So one of the things that I liked and that kind of dries me secretly crazy is that people conflate price and value when they're talking all the time. And and one of the things that you said is that I did when I read it right away I thought oh my god of course how come we don't call it enterprise price. I don't know instead of enterprise value. Yeah the funny thing is you know the language really drives behavior. Yeah. So if you want the right behavior you really want the right language. And you know these little terms that are incorrect and misleading sort of sneak their way in to the investing vernacular. And before you know it they sort of hijack reason to cause behavior that's not particularly constructive. Another someone like that is people we use the Gerrand when they mean the past. So to say you know they if a company had earnings the company paid a dividend of such and such amount people will say it's paying a dividend. We don't really know because the next quarter hasn't happened yet but that's another example of that. That's right. Another thing I liked that she did was that you describe that multiples are a shorthand and that there's actually a lot of dangers involved with using a shorthand like that. And I think a lot of times we get so busy just talking and trying to like talk about the same number when you're talking with someone about an investment that maybe we're not even referring to the exact same thing when when we talk about earnings for instance like that could be all kinds of different things could be all kinds of different things that could be operating income. It could be earnings before interest and taxes or it could be pre-tax income it could be after tax income could be normalized earnings. That's right. So when you're talking about something that return on invested capital people use different numerators people use different denominators. One of the reasons why I want to do my analysis of a company's historical performance I don't take any of the off the shelf calculations given to me by any of the third party information service providers or even the company itself was Coklat and myself because there's always the question of how much cash to a truck operator or do they subtract on intangible assets in the calculation of invested capital or capital. So you're right. Yeah. There's so much subjectivity that can creep in there. So all right. Question number one let's get this now that we got that out of the way. Can you walk us through how you built your investing model. And I especially liked how you really stripped it down to some core essential ideas like organizing your efforts around know what to do do it and then don't do anything else. Yeah that layer of the model came second. What happened was I was given a store teaching an introduction to the best in class and Stanford which I sold to huge and I had to come up with some sort of flowchart for what I actually did which was not particularly original was nothing other than a distillation of what better known value investors have been using for decades. But I realized that sort of the first step was to make sure you knew what you were looking at or what I call the model. Do I understand it right. And you know Peter Lynch as said by what you know. But to Peter Lynch's characterization I think that guidance as well intended as it was got misconstrued to mean buy stock in companies whose products you familiar with. Right. That's a piece of understanding. But it's probably not the whole litany. There's probably more in as I see it there's sort of six parameters. You want to find where the products are. Customers form like the reform industry geography status if you can nail all six of those down. The probability that you don't understand the company you're looking at is zero. That's my kind of probability. And most investors don't take the time to understand that so fundamentally. So that's sort of the first thing I realize I do. And then the second thing I realize I do is I try to figure out is it good regardless of what price I may have paid for it. Is it the kind of thing that I would be comfortable having in my portfolio for decades. That split into three parts as I saw it. Has it been historically good. Does it look like it would be good in the future and as a shareholder friendly. And I break that down the book but essentially you know has it been historically good as nothing other than looking at the historic financial statements and calculating things like we were talking about return on capital employed. That's fairly easy relative to the other things will it be good in the future.